Vancouver Pen Club: It's (almost) that time of year again---InCoWriMo month! 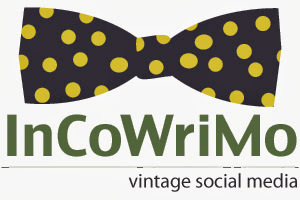 It's (almost) that time of year again---InCoWriMo month! Yes, it's the eve of InCoWriMo (International Correspondence Writing) month , so prep your pens, inks, blotters, postcards, stationery, envelopes and stamps if you wish to accept the InCoWriMo challenge to hand-write and mail/deliver one letter, card, note or postcard every day during the month of February. Best of luck!